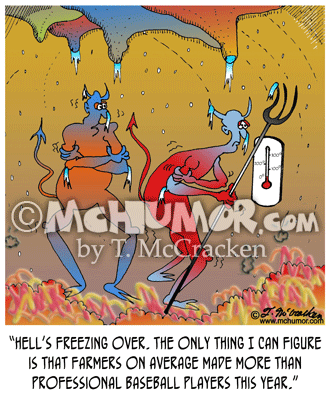 Farm Cartoon 7099: An old farmer saying to a young frazzled one surrounded by bills, "Don't worry, the first 30 years of farming are the hardest." 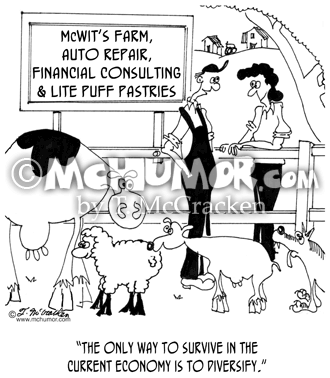 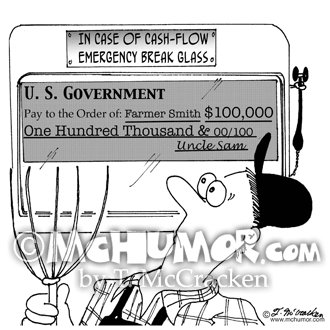 Farm Cartoon 7172: "McWit's Farm, Auto Repair, Financial Consulting and Lite Puff Pastries." 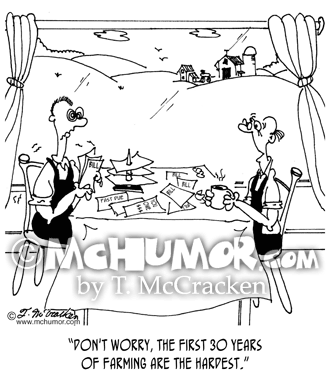 The owner says, "The only way to survive in the current economy is to diversify." 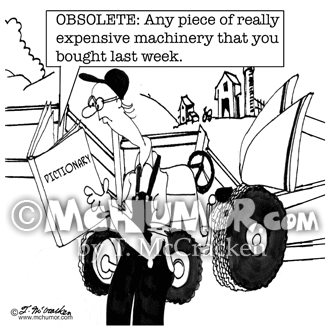 Farmer Cartoon 7095: A farmer sees the definition of “Obsolete” in his dictionary as, "Any piece of machinery that you bought last week for $100,000." 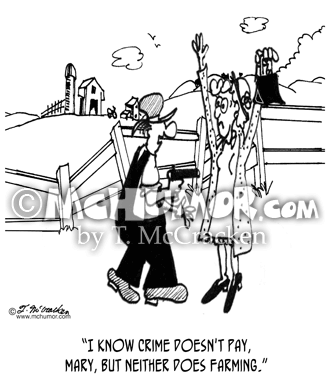 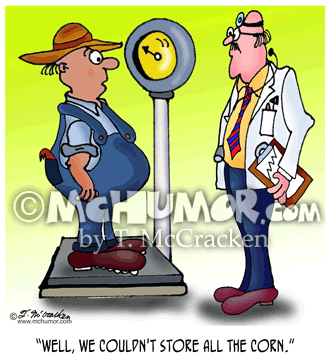 Farm Cartoon 7096: A farm analyst says to a farmer, "With all due respect for your horoscope, Mr. Jones, the outlook for wheat this year is ... "
Trespassing Cartoon 3345: Sign at farm, "No trespassing. 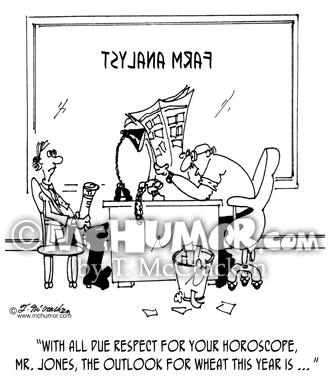 Violators will be shot. 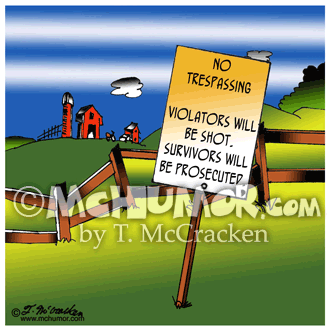 Survivors will be prosecuted." 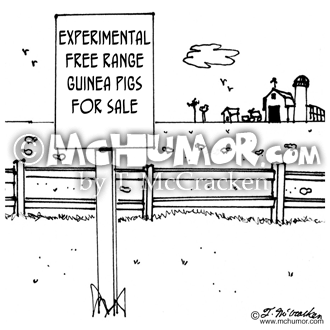 Experiment Cartoon 4598: A sign on a farm, "Experimental Free Range Guinea Pigs For Sale."